Section Menu...Why is the Program Important? 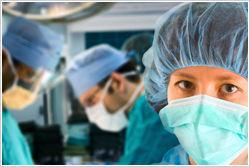 • The Aging Surgeon Program • Why is the Program Important? As part of the Aging Surgeon Program, participants will undergo a series of evaluations to test physical and cognitive function. These videos show a sampling of these assessments.